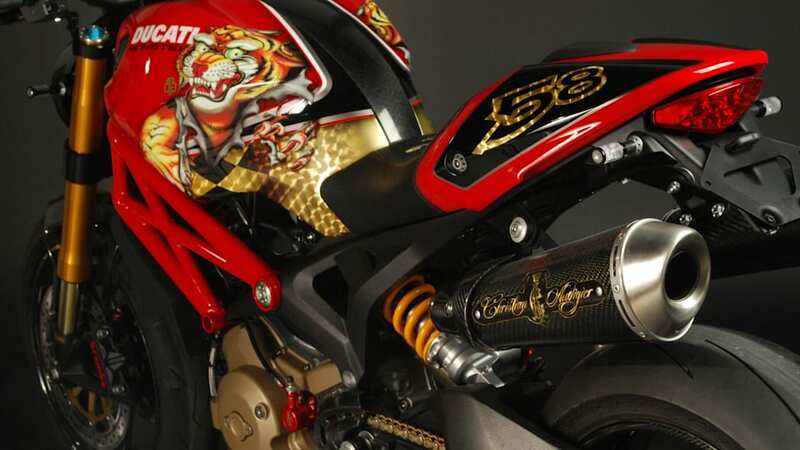 Christian Audigier won't leave us alone. 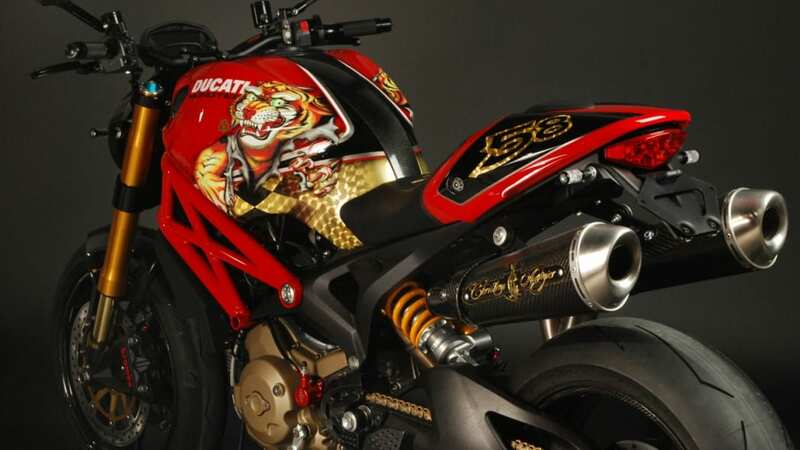 The fashion designer responsible for decking out all the celebs in Ed Hardy and Von Dutch gear has made a killing off his overpriced wears, but apparently unsatisfied with infection of Hollywood, he's turned to motor vehicles as his unfortunate canvas. 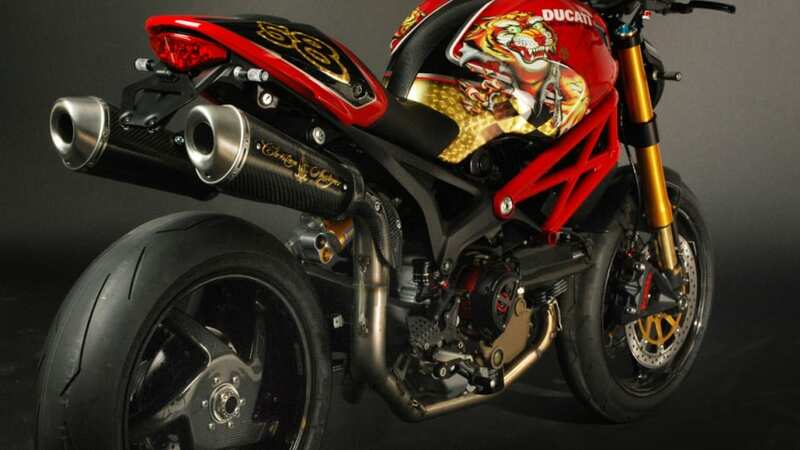 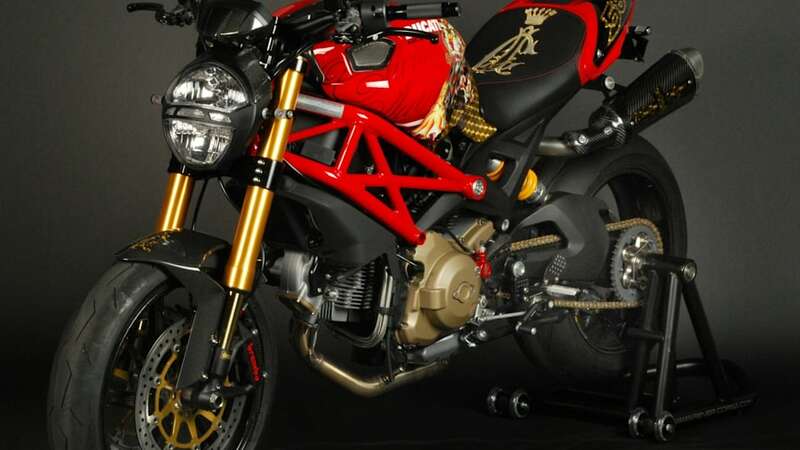 As if the tattoo'ed Lamborghini Murcielago which Audigier created with Edo Competition – which in turn spawned the Ferrari F430 Calavera imitator – wasn't enough, he's set upon another exquisite piece of Italian exotica to tarnish: the Ducati Monster. 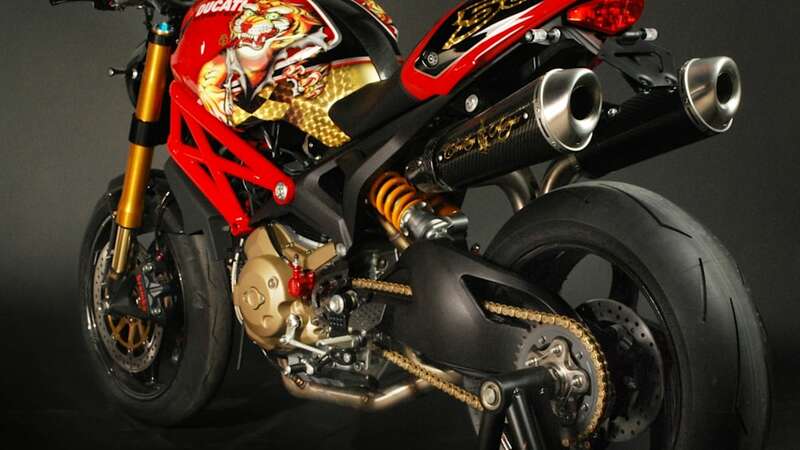 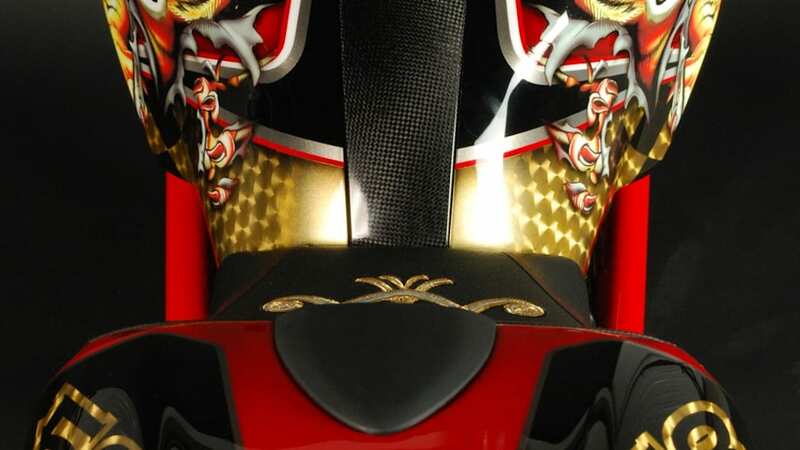 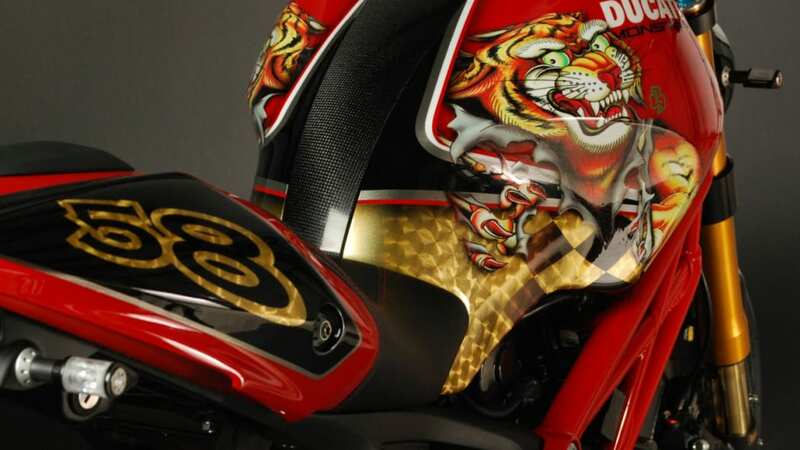 Starting with the 1100cc superbike, Audigier and his partners at Rever Corsa have laid down some sort of dragon-tiger thing over a particularly gaudy red and gold paint scheme. 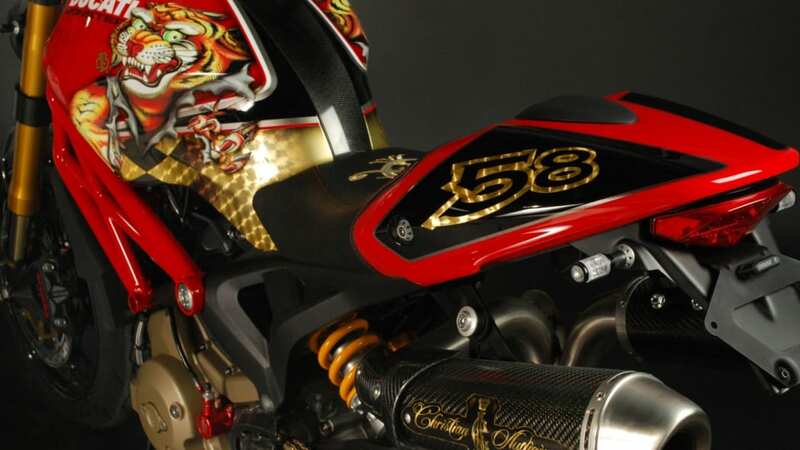 This limited edition crotch rocket commands a $55,000 price tag, proving once again that money and taste don't always go hand in hand.